Size: approx. 5-7 mm. Photo: 06/12/12, 10 pm. 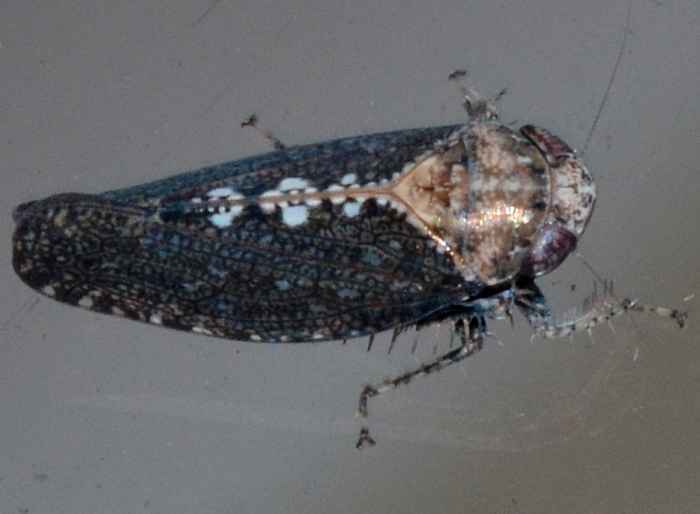 This leafhopper is Texanus subgenus Excultanus. 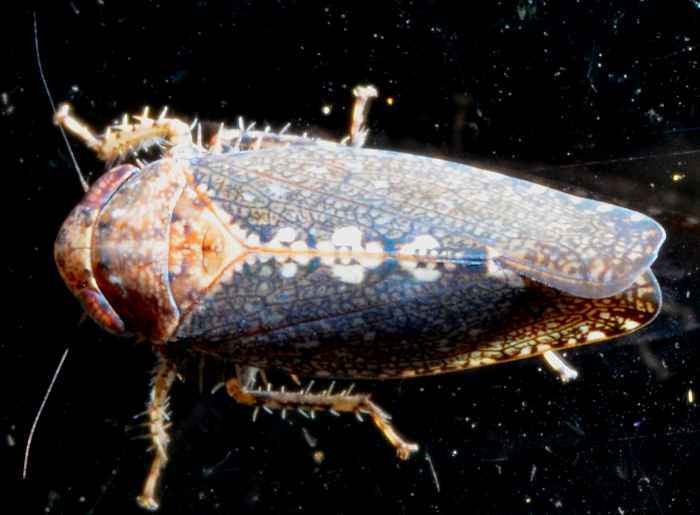 The genus Texanus has about 70 species. A characteristic feature are the three white spots down the middle of the wing. Some references treat the subgenus Excultanus as a separate genus.